On October 5, 2010, Phoenix Police Officer Richard Chrisman responded to a domestic violence call and was involved in a lethal force incident while dealing with a violent subject later found to have methamphetamine in his system. Rich was subsequently charged with 2nd degree murder, aggravated assault and animal cruelty. Almost three years later on Tuesday September 17, 2013, the jury in the case rendered their verdict. The jury ultimately found Rich guilty of aggravated assault. They were deadlocked on the charges of 2nd degree murder and animal cruelty. 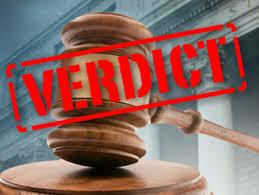 The prosecutor requested that Rich be taken into custody after the verdict was read and the judge granted the request. PLEA has issued a written statement to the media regarding the incident and the verdict.